What Were the Most Popular Asbestos Insulation Brands? 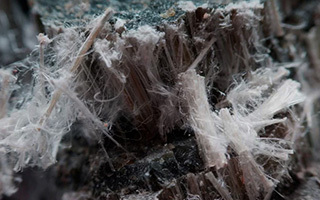 For too long and at too great of a cost, asbestos was thought of as being the ultimate dream substance, capable of producing insulation in many forms. The toxic mineral was a great factor that sustained the economic boom, which was reason enough for the 20th century young and rapidly growing businesses to ignore the warnings in regard to the material being a threat to the lives of those that come into contact with it on a regular basis. Scientists were drawing attention to the negative, and now we know for a fact, deadly, consequences of inhaling or ingesting asbestos even in the 1930s. Their warnings, however, never made the spotlight quite in time, since the praise for the material's physical properties, like high-temperature resistance and flexibility, firmly shut down all those calling for caution in regard to its use. This powerful ally turned into a great enemy once medical studies confirmed the link between asbestos exposure and various types of cancerous diseases. As determined by the Environmental Protection Agency (EPA) back in 1970 in the Clean Air Act, asbestos falls into the category of hazardous air pollutants. A full ban failed to be imposed, but, still, in order to be within the confines of the law, insulation products cannot have more than 1% asbestos in their composition. Block insulation. Most of the times, it is made almost exclusively of asbestos. It was very popular in shipbuilding, as it was an efficient fire retardant. Loose-fill insulation. The most known manufacturer was W. R. Grace Company. It was frequently used to fill hollow areas in buildings, such as the spaces inside the walls or parts of the attic. Spray-on insulation. It was created to cut down from the demanding effort required by the job of an insulator. It had a high (over 80%) asbestos concentration and it deteriorated easily, which made its usage extremely dangerous. Wrap insulation. It is mostly found in the cases of pipes having air-cell asbestos mixture enclosed in asbestos paper. When the asbestos fibers enter the body, they do not leave it, and this is perhaps what makes an already acknowledged toxic material so much more frightening. Even if active usage of asbestos has been greatly reduced, the fact remains that a large number of buildings in the United States continue to have as part of their structures asbestos insulation, which means the risk of developing asbestos-related diseases is steadily looming. If you discover asbestos in your home,it is paramount that you remove it. Because it is such a dangerous material,the best course of action is to hire a professional company to deal with this situation. If, however, you would like to use the DIY method, you can read our Asbestos Removal page to find out how you can safely perform this operation. Less than half a century ago, asbestos was virtually everywhere, construction work being at the top of domains in which the use of the mineral dominated. In fact, it would be a difficult task, even retrospectively, to scan the market of the time for materials that did not contain it. World War II, the Cold War, the increasing number of factories and plants being built in the interval between the 1950s and 1960s, all greatly influenced and promoted the use of asbestos-based materials, as the mineral was easily obtained and could be utilized in many ways, all while gradually mutating the cells in the organisms of those in its presence, leading to entire generations suffering today from the infestation of the toxic fiber.